Mochiko is a sweet snack made of glutinous rice flour filled with sweet red bean paste or ice cream. 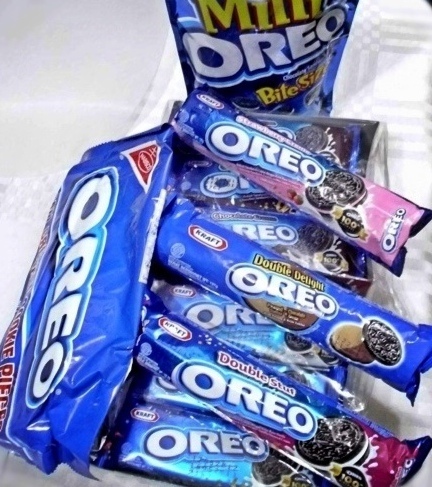 Oreo, on the other hand, is a well-loved cookie that goes perfectly well with a tall glass of milk and invokes happy childhood memories with every bite. What if all these 3 delicious treats were put together in one dessert? What sort of flavorful explosion would come out of it? Exciting! 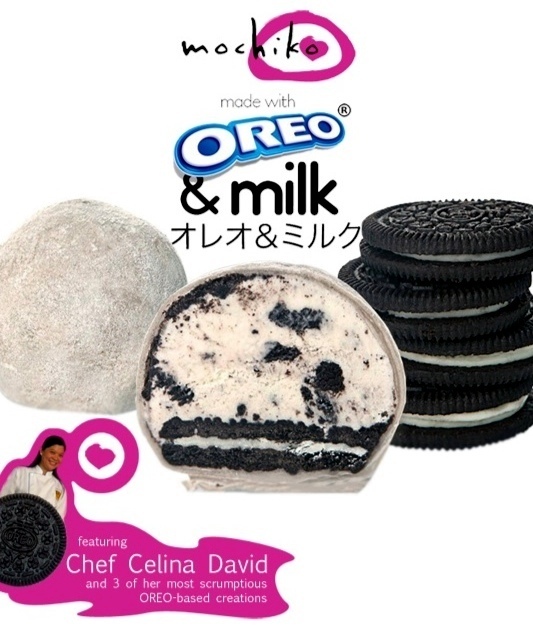 Kraft Philippines recently launched a wonderful frozen treat – Mochiko with Oreo & Milk at their HQ in Sucat, Parañaque. I was lucky enough to be invited to the launch and be able to try it. 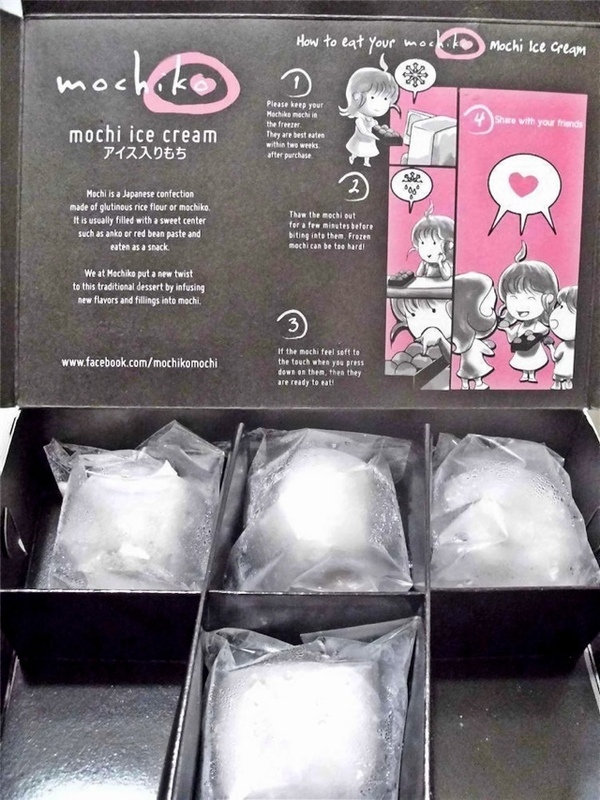 As with all Mochikos, they are served frozen and a slight thawing time has to be waited out before actually gobbling down this wonderfully new yummy goodness. Waiting it out was well worth it since as soon as I bit it, my eyes lit up with delight! It was divine! Love at first bite! The dessert’s sweetness was perfect on all levels. Perfect for someone like me who doesn’t have a sweet tooth. 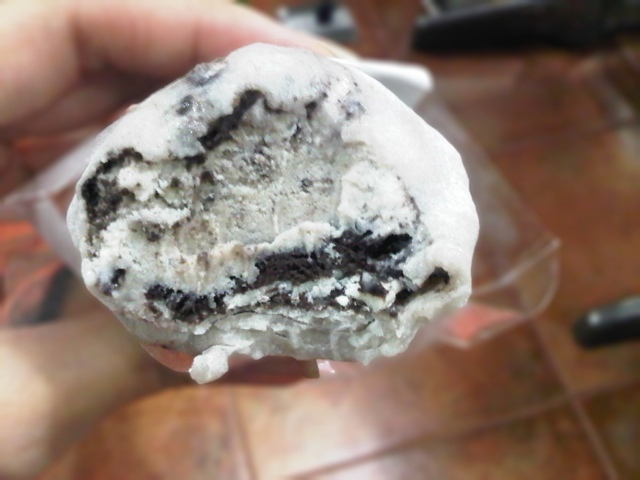 Unlike other sweet desserts, Mochiko with Oreo & Milk doesn’t give you that feeling of “suya”. 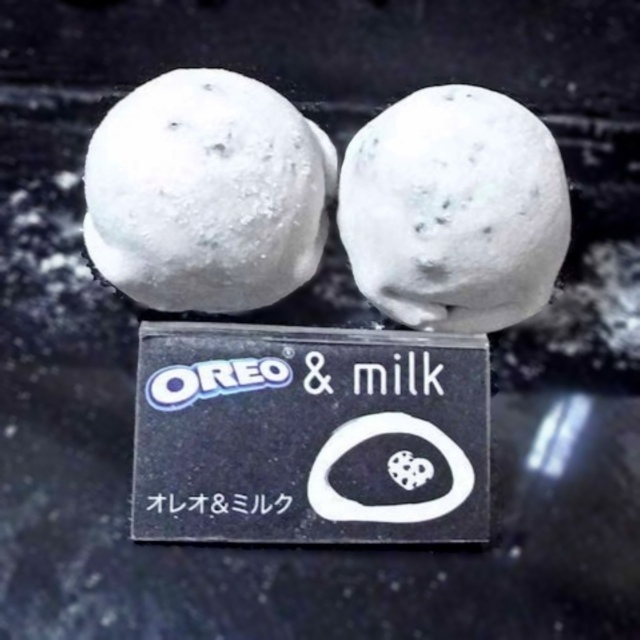 Where exactly can one find “Mochiko with Oreo & Milk”? Look no further. Check out the list below and head over to the location nearest you. 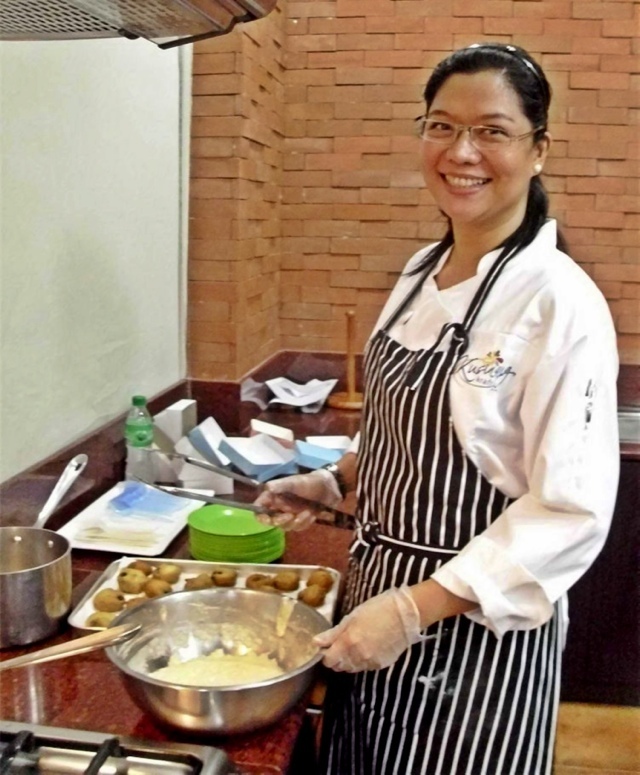 Kraft-Philippines invited Chef Celina David to prepare 3 of her most scrumptious Oreo based creations. After demonstrating how to make each dessert, we were, in turn, asked to do ours too. 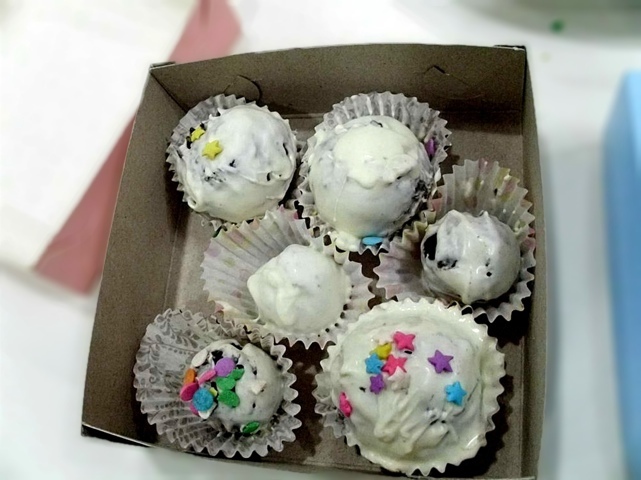 No bake, no fuzz “Oreo Truffles” using Oreo Small Crushed Cookie Pieces and Cream Cheese dipped in white chocolate and topped with colorful sprinkles. I made bite size pieces to make it easy to eat. Too bad I wasn’t able to bring home my box (due to some weird mix-up) for my kids to enjoy. 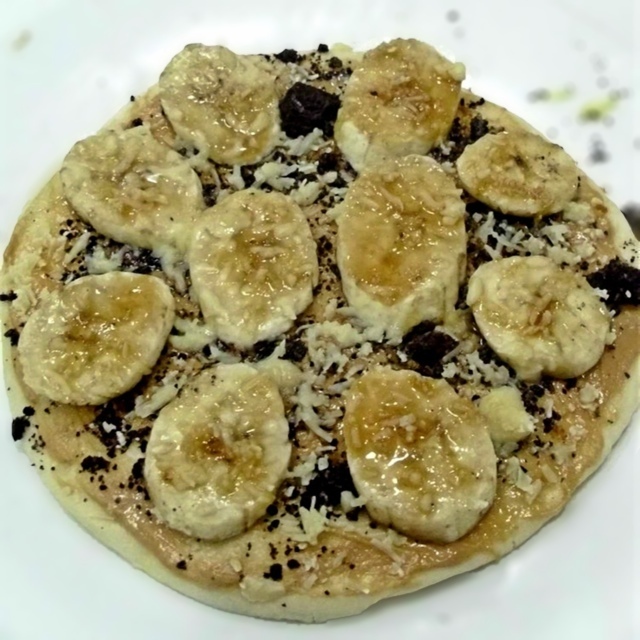 “Choco Banana Cheese Pizza” – still using Oreo Small Crushed Cookie Pieces, Peanut Butter, Cavendish banana sprinkled with brown sugar & cheese. Pop it in the oven and voila! Instant pizza dessert! 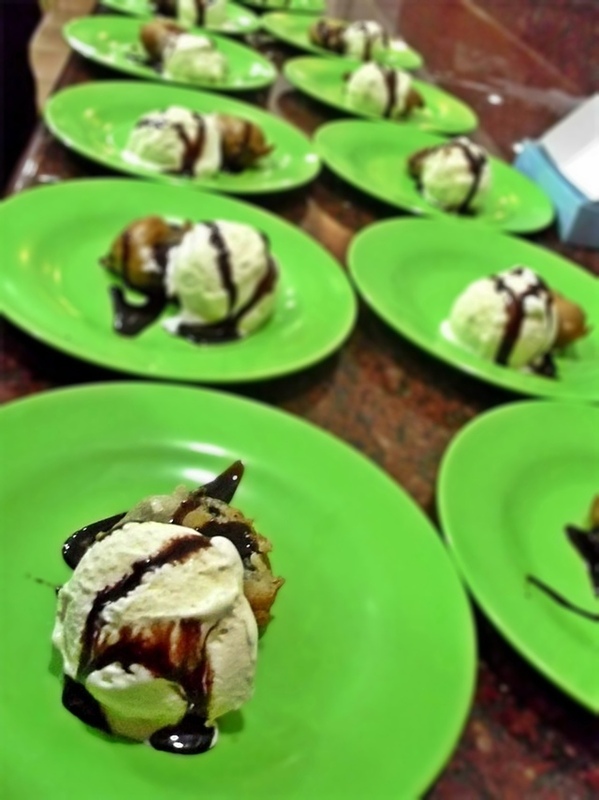 The third and final dessert was “Fried Oreo ala Mode”. Oreos dipped in batter, deep fried and served with Vanilla ice cream and chocolate syrup. This time, chef decided to fry the Oreo’s herself. I love anything “ala mode”! Chef Celina while making the “Fried Oreo ala Mode”. Ok, folks… this particular post (with all the glorious OREO & milk Mochiko images have made me really hungry (go figure!). Haha! I’ll end this post now and head over to the ref to finish off the remaining Mochikos. Yay!